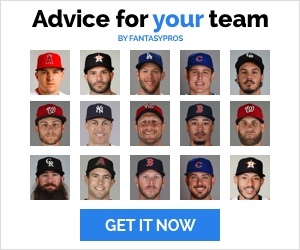 Welcome to Fantasy Six Pack’s 2018 weekly buy and sells article. 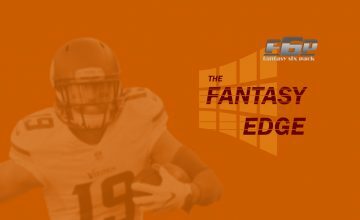 Here, we’ll discuss players to trade for or to trade away in fantasy football. Keep in mind that these are just recommendations. Don’t get desperate and overpay for/undersell any of these players. For any specific trade questions, please message @FantasySixPack or @NoahSpurlockNFL on Twitter! I’m grouping these guys together, so there will be 4 buys this week. You’re welcome! It’s a sticky situation with Conner and Bell. Nobody knows when Le’Veon Bell will come back, or if he is even going to play this season. James Conner is running extremely well in Bell’s place, but would obviously see a reduced role if Le’Veon was to show up. Both of them have the potential to win you your league. I recommend asking the owner of either back what the price would be and evaluate from there. Sony Michel is a very talented back. He can do it all, and most people don’t realize that. 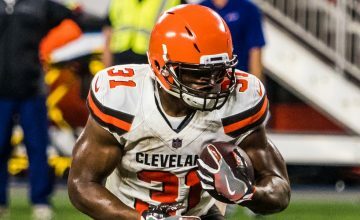 The public believes that Nick Chubb was the running back at Georgia, and Sony Michel was the pass catcher. While this is true to an extent, Michel had over 150 carries and averaged 7.9 YPC. So, with Jeremy Hill out for the year and Rex Burkhead dealing with a minor knee injury, Michel has a great chance to become a lead back in New England’s system. The owner of Michel might not realize what he has, so I’d definitely send an offer his way. Like Michel, many people don’t realize what they have in Kittle. In Week 1, Kittle was targeted a team-leading 9 times, He caught 5 of those targets for 90 yards. He could’ve had a much better game, but he ended up dropping a wide open deep ball and then Garoppolo missed him open later in the game. Additionally, Minnesota is one of the toughest defenses in the league. Their secondary and linebacking core is incredible. Kittle is a TE1 that you can get for TE2 value. Yes, we’re back at these guys again. On the flip side of things, there may be a leaguemate who treats Conner or Bell as top-10 assets. If you find somebody with that mindset, sell either of them. Obviously, nobody knows how the rest of the season is going to shake out with these two guys. So, it’s almost entirely up to you how you want to treat these guys. It’s certainly not a bad idea to buy them or sell them. Each option could work out very well. Adrian Peterson surprised a lot of people last week, totaling 166 all-purpose yards and 2 touchdowns. He was the bell-cow back Washington beat reporters expected him to be. The only issue is, however, that Peterson only averaged 3.6 yards per carry. Washington isn’t exactly elite, so not many game scripts will be like this one. This one helped out AP a ton, because they were able to pound the rock in the second half. Additionally, Peterson had 70 receiving yards, which will not continue in the future. Sell Peterson while you can. DeSean Jackson and Ryan Fitzpatrick have a lot more in common than DeSean Jackson and Jameis Winston do. Fitzpatrick is much more of a vertical quarterback than Winston, which helps Jackson because he still has blazing speed. 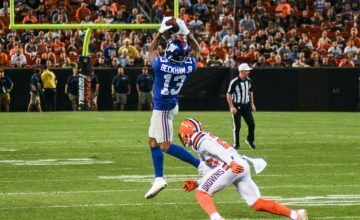 Jackson caught 5 balls for 146 yards and 2 touchdowns last Sunday. Once Winston comes back, Jackson will not see anywhere near these numbers. Winston likes to target his tight ends more, while Fitzpatrick completed only 2 passes to OJ Howard and none to Cam Brate. People in your league will overpay for Jackson.